Yesterday someone told me I look like Luke Evans so it hit me that it is time to write about his style and looks since he is a really good looking gentlemen, but let’s get the elephant out of the room by stating that Luke Evans is one of the few gentlemen that looks great with whatever facial hair he rocks, he looks great in a stubble and he looks great with a moustache it is like he can never go wrong, and the same thing goes to his hair he can rock it long or short so I applaud him for that. Now let’s talk about style, I personally would describe his style as classic and timeless but with a modern twist here and there, like he would wear a very simplistic outfit but twist it up a little bit by wearing a bold pattern or a piece that stands out like a jacket or a vest, and admire that since it really makes him stand out effortlessly. 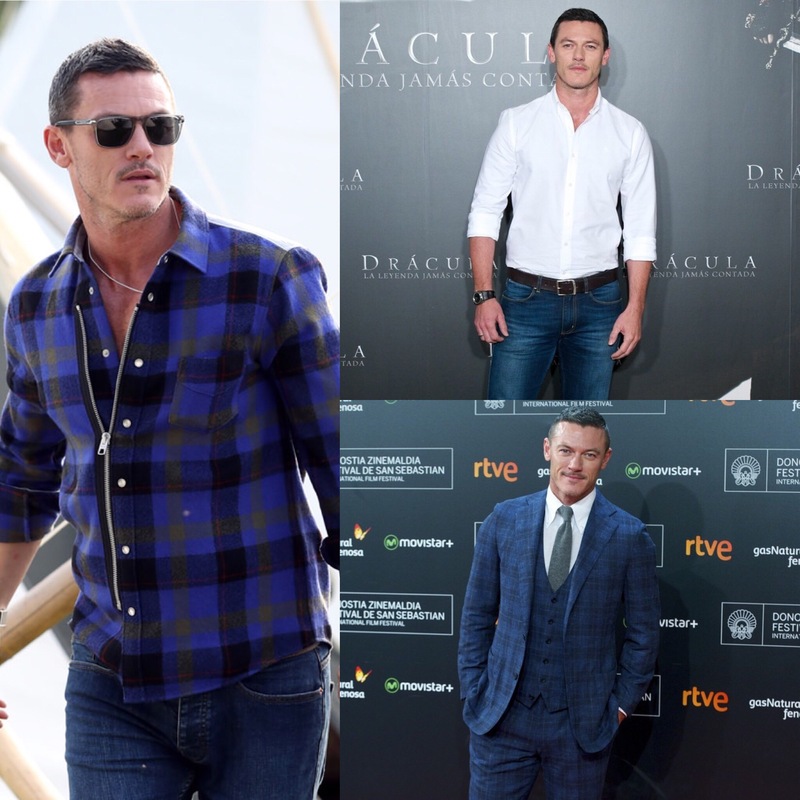 Although as I said the consistent thing between all his outfits that they are simple and even sometimes quite classic, and I have always preached to you guys that simplicity is the key to nailing each outfit and Luke Evans surely knows that as you can notice it from his everyday wear to his red carpet looks. Another great tip you can take from his style is that you should not be afraid to try out new looks, go now and search his name on google images and you will see that this guy always changes his look whether it was his hair, facial hair or style, he is consistently trying new stuff out and he rocks everything confidently and that is the key to always looking fresh, so whatever you are thinking about go try it out and if it does not work you can go back to your normal look, plus this is a great way to spice things up to everyone around you because sometimes they can get used to how you usually look. First we are going to start with one of his most amazing casual looks, and you can see here what I meant by saying he wears pieces that stand out because the shirt he is wearing in these two pictures undoubtedly stands out whether it was because of the zip on the side or the bold pattern, but then he kept it simple by wearing a pair of great fitted jeans and topped it off with an olive green jacket later on. Now on the other hand it is time to talk about his smart casual, and you can see here that a simple outfit if all you need to look good, another thing you can notice about this look is that everything fits him so well and you know how much I say that if you want to look good you need to nail the fit. Finally it is time to talk about suits and formal attire, and this gentleman surely loves his formal looks because you can see him rocking a new stylish look each time that is why I presented to you guys more than one picture so you can get an idea of what I am talking about, but again the constant thing here is the great fit and simple looks. Classy and simplistic look. Very nice. 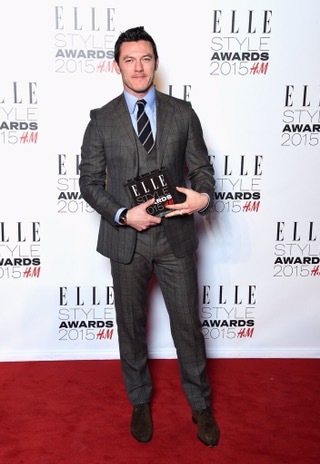 I love Luke Evans style as it is a casual yet elegant style that looks so effortless but oh so stylish. Loved this post 🙂 Have a great rest of the week & A Happy New Year!